Provide comfort for the family of Joseph Beaumont with a meaningful gesture of sympathy. Joseph “Joe” J.H. Beaumont, passed at Lowell General Hospital on January 28, 2019. Joe was the second of five children, born to Henri Joseph and Angelina (Montsion) Beaumont. He was born on March 29, 1940 in Hull, Quebec, Canada. He was raised in Montreal and educated in the parochial school system, finishing at D’Arcy McGee High School. He entered the Canadian Army, serving in the Canadian Provost Corps as a Military Policeman. After his honorable discharge in 1960, he pursued his goal of attending college. He did enroll in a Psychology major program at Auckland University in New Zealand. In 1966, he started his first career in the high tech industry as a computer programmer. In 1977, he transferred to the United States with Digital Equipment Corporation. He took a Specialty Early Retirement Package in 1992. Not being one to retire at such an early age, he started a second career as a trader with Fidelity Investments and retired in 2003. Fraternally, he was affiliated with both Masonic Lodges in Nashua, having served as Master of both lodges. He was also a member of the Ancient Accepted Scottish Rite, being honored in 2012 with the 33rd Degree. He also served the Grand Lodge of NH as a District Deputy Grand Master. Joe is survived by his wife, Jane of Nashua, they were married on July 27, 2013. SERVICES: A Celebration of Joe’s Life will be held at the DAVIS FUNERAL HOME, One Lock St., Nashua on Sunday afternoon from 12:00 to 1:30 PM. A Masonic Funeral Service will be conducted at 1:30 PM followed by closing prayers. Interment prayers and burial will be private. 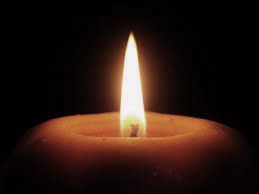 In lieu of flowers, his family has asked those planning an expression of sympathy please consider a memorial donation to the Children’s Dyslexia Center of Nashua, 200 Main St., Nashua, NH 03060. To send flowers in memory of Joseph "Joe" Beaumont, please visit our Heartfelt Sympathies Store. Donations are being accepted for: Children's Dyslexia Center of Nashua. Maureen and Bruce and Love, Larry and Sharon have sent flowers to the family of Joseph "Joe" Beaumont. On behalf of the Canadian Provost Corps Association I extend our deepest condolences to the Family of our former Provost colleague, Joe Beaumont. May he rest in peace. My condolences to this family and friends in the loss of a dear loved one. I'll like to share what helped me. Knowing the God of all comfort promise to swallow up death andforever soon. Isaiah 25:8 May you have peace until that day.